Feinstein previously worked as a natural gas trader at Total Gas and Power, North America. Feinstein previously managed the tailgate of the Kensington Processing Facility in Columbiana County, Ohio, as well as multiple well-bores which produced natural gas that tied in directly to Dominion East Ohio's LPPS pooling area. Mercury Energy Marketing indicated it will seek licenses in other states including Pennsylvania, New York, Kentucky, Indiana, and Maryland. 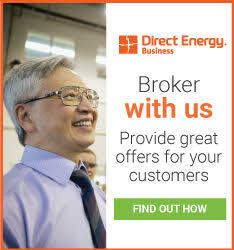 Mercury Energy Marketing also indicated it will expand to retail power sales in the future.